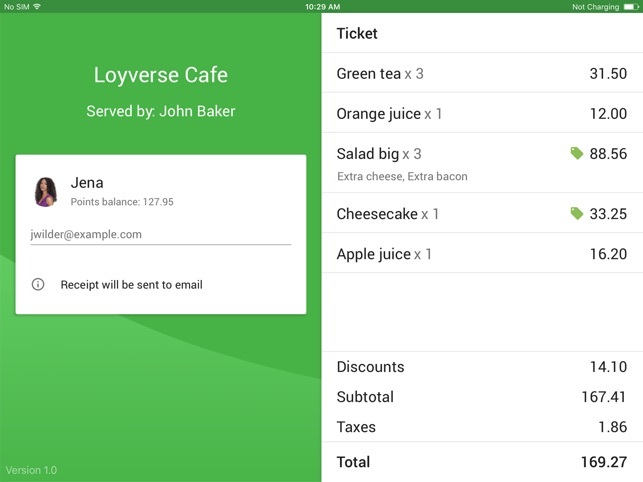 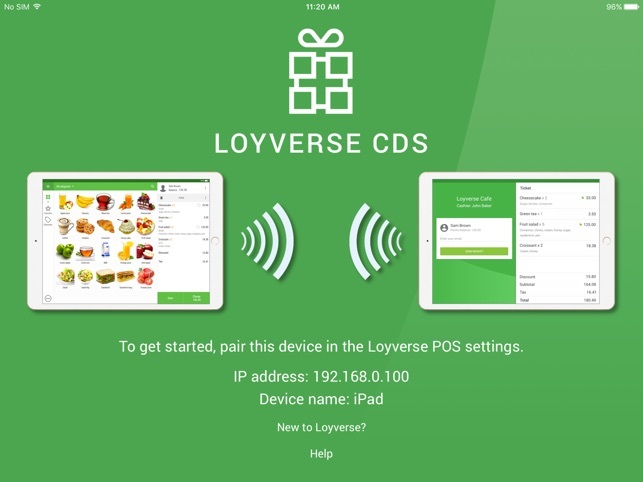 Loyverse CDS (Customer Display System) is an interactive customer-facing screen that displays the details of customer’s order and allows to enter email address for digital receipts. 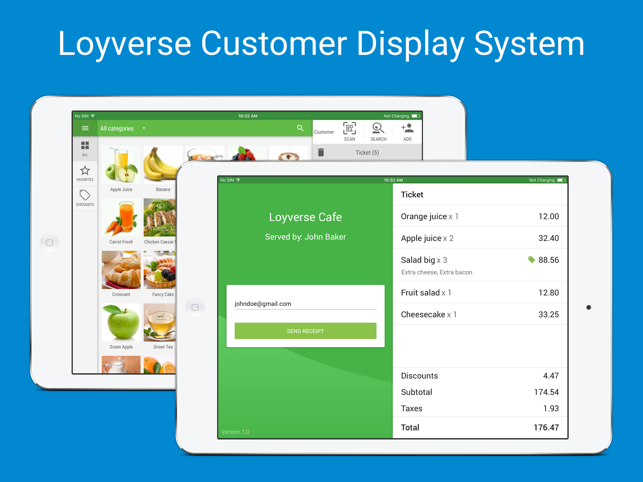 - Displays all necessary order information: items, taxes, discounts and total amount due. 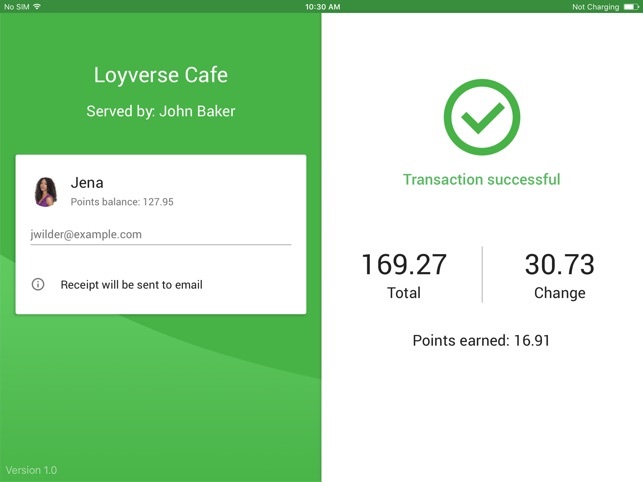 - Displays customer reward points. 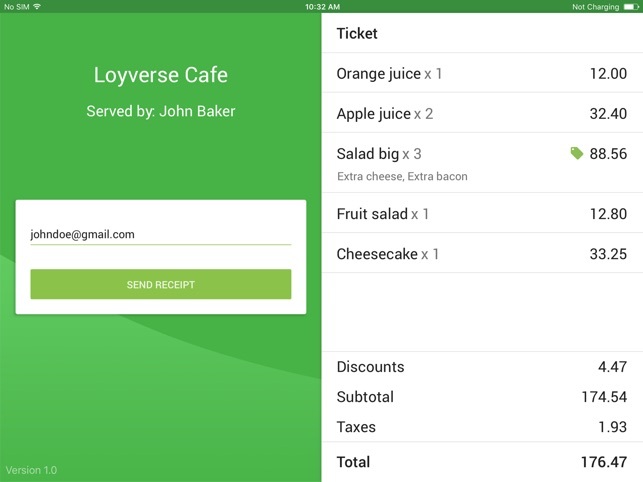 - Email address input for digital receipts.